Risks are an unavoidable part of life. One can reduce risk, pass it on to someone else, or accept it. Nonetheless, one can never fully eliminate the risk attached to any event in life. This could not be less true for investments. Every investment has a risk-return trade off—higher the risk, greater is the potential for returns. Mutual funds are considered to be less risky than direct equity investing but with the potential to deliver better returns when compared to fixed-income securities. 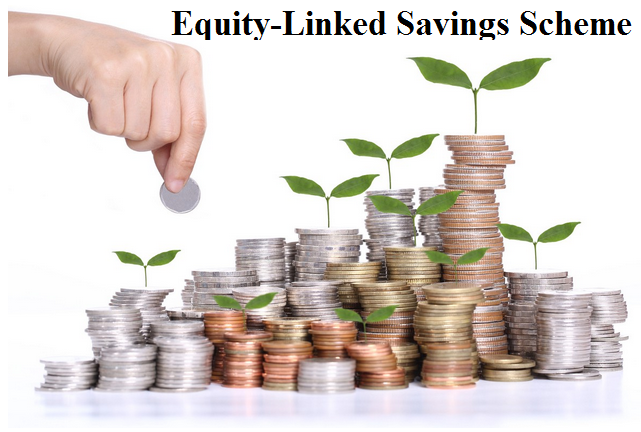 Equity-Linked Savings Scheme (ELSS) is a popular type of mutual fund because it is amongst the most dynamic tax-saving investments available in the market today. It is one of the few investment products that offer tax benefits and has the potential to deliver high returns. These funds are equity-oriented schemes that invest primarily in equity and related securities. Equity markets, as we all know, are subject to price fluctuations. Since ELSS funds mainly invest in equity, their performance is also influenced by the volatility of equity markets. Why should investors not panic? Some investors buy ELSS funds and expect the fund to start earning returns immediately. What they fail to grasp, however, is that when there is a market, there will be ups and downs. Panic is often the first reaction of investors when there are fluctuations in the Net Asset Value (NAV) of their chosen fund. The NAV of a fund changes daily due to market movements. Investors need to remember that short-term fluctuations are not necessarily indicators of a long-term trend. Professional fund managers who have vast experience in investment managementmanage ELSS plans. Fund managers constantly adjust the portfolio composition by reviewing the performance of the equity stocks within the portfolio. While investors can keep a watchful eye on the performance of the fund, they should not jump at the first sign of trouble, and let professionals deal with it. Many investors buy ELSS funds simply because they are excellent to reduce their tax liability, which is undoubtedly one of their greatest features. However, such funds are also very powerful when treated as long-term investments. Remaining invested in ELSS plans for a 10- to 12-year period is likely to bring phenomenal returns. One simply needs to take a step back and look at the bigger picture. Long-term investors are able to cut through the noise of short-term volatility and keep a strong focus on the long-term benefits. Therefore, there is much more to ELSS than being the best tax-saving investment. When the returns earn further returns, the power of compounding is unleashed. In relation to ELSS funds, the compounding effect may yield astounding returns on one’s investment. The returns generated by ELSS investments are reinvested into the scheme. As a result, the investor has the opportunity of earning higher profits. The compounding effect, especially in the case of equity-related investments is a highly profitable technique to maximise returns. Equity as an asset class outperformed all other types of investment products in 2017. Fixed deposit (FD) rates and real estate prices were impacted by demonetization. Real estate further suffered because of the establishment of the Real Estate Regulation Authority (RERA), the Benami Property Act, and the introduction of Goods and Services Tax (GST). Gold also gave a disappointing performance during the last year. Equity investors, on the other hand, have been able to earn healthy returns on their investment. This goes to show the fundamental strength of ELSS as an investment. ELSS fundsallow investors to invest in equity indirectly and at the same time, cushions the investment from the poor performance of a single stock or sector by investing in multiple securities. Professional management eliminates the hassle of tracking the performance of different stocks. Every rise has a fall and the same goes for investments. ELSS investors may get on the path to earning stellar returns if they can patiently ride out the short-term headwinds of volatility. Making investment decisions on their own may be a nerve-wracking experience for most investors. However, it does not have to be that way. Angel Wealth is with you at every step of your investment. The ARQ tool in the Angel Wealth mobile application is an all-in-one investment engine that gives the best mutual fund recommendations as per your portfolio.Powered by machine learning and cognitive technology, the proprietary ARQ investment engine processes over a billion data points to provide recommendations personalized to yourrisk profiles. Download the Angel Wealth mobile app today on Android and iOS platforms!